HP has announced two new tablets aimed at the business market at MWC 2014. The HP ElitePad 1000 is a 64-bit Windows 8.1 tablet with a 10.1-inch widescreen WUXGA multi-touch display. An optional Qualcomm Gobi modem allows 4G connectivity, and an optional Expansion Jacket can provide extended battery life. The device has amassed up to 115,000 hours of reliability testing via HP Total Test Process and is MIL-STD 810G certified for extra durability. It's also HP's thinnest tablet to date, at just 9.2mm. A slew of enterprise features include a fingerprint reader, HP Client Management, Client Security, and an optional Security Smart Jacket with multi-factor authentication. There's also the choice of the ElitePad Service Tool, which makes the device self-serviceable so that sensitive data does not need to leave a company. The HP ElitePad 1000 launches in March 2014. The HP ProPad 600 is designed for business people on the go. It's powered by an Intel Atom quad-core processor and has a 10-inch WUXGA Gorilla Glass display. It comes with Windows 8.1 and 64GB of storage, with the option to expand with a microSD card up to 32GB. Additional features include Bluetooth 4.0, HP ePrint software, and Miracast. 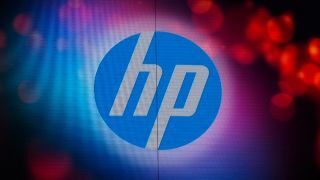 HP is also promising a wide variety of accessories, starting with the HP TX1 POS Solution, a tiltable stand that allows the device to be used like a monitor. The HP ProPad 600 launches in April. Pricing has yet to be revealed for both models.